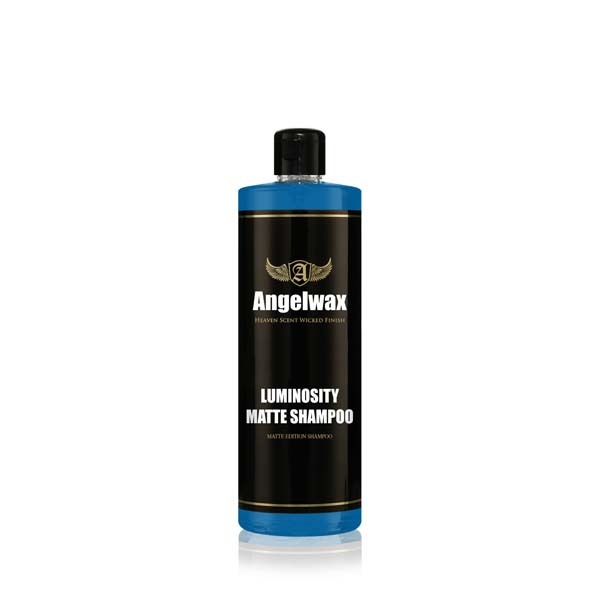 LUMINOSITY MATTE SHAMPOO from Angelwax is our perfect pH neutral shampoo designed specifically for the cleansing of matte paintwork and matte wrapped vehicles. Our unique formulation is gentle on matte surfaces yet very highly concentrated and has excellent cleaning and lubricating properties to ensure a gloss-free finish. Angelwax LUMINOSITY MATTE SHAMPOO is completely wax safe! Application: Add two caps full of Angelwax LUMINOSITY MATTE SHAMPOO to a bucket and fill with warm water then get busy washing! For the ultimate result, finish with Angelwax LUMINOSITY MATTE WAX and then top-up the protection every week with Angelwax LUMINOSITY MATTE EDITION QED detailing spray.